On 27 September Professor Nicholas Cronk gave a talk entitled ‘Voltaire in London: Cultural life in the 1720s’, hosted at the Handel House Museum in London. Handel lived at 25 Brook Street in Mayfair from 1723 to 1759; Voltaire, for his part, was lodging at a rather less smart address in Soho in the latter part of the 1720s. We do not know if Handel and Voltaire ever met, but both men made significant contributions to the cosmopolitan cultural life of London in the 1720s. 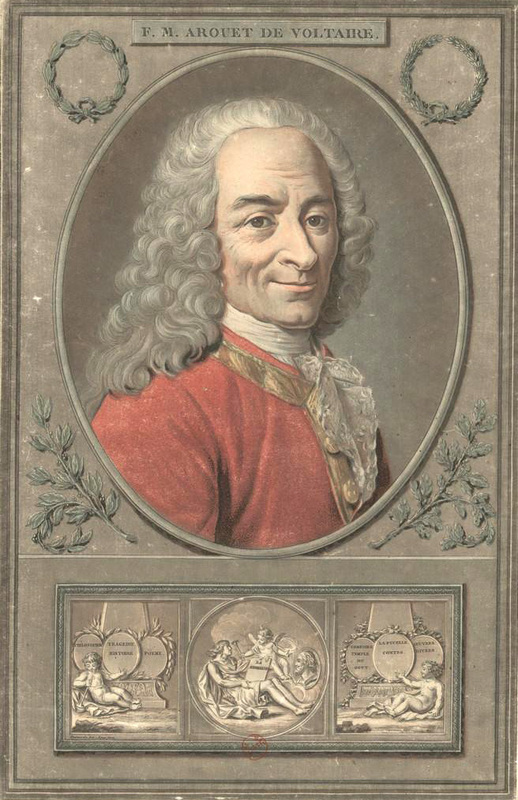 Voltaire was in his early thirties and already a well-known poet when he came to London to launch a subscription to publish La Henriade, an epic poem glorifying King Henri IV of France, which touches upon the evils of religious fanaticism, among other topics. Originally, he had hoped to get permission to have it published in France with a dedication to the young Louis XV, but the subject matter of his poem was such that permission was not granted. 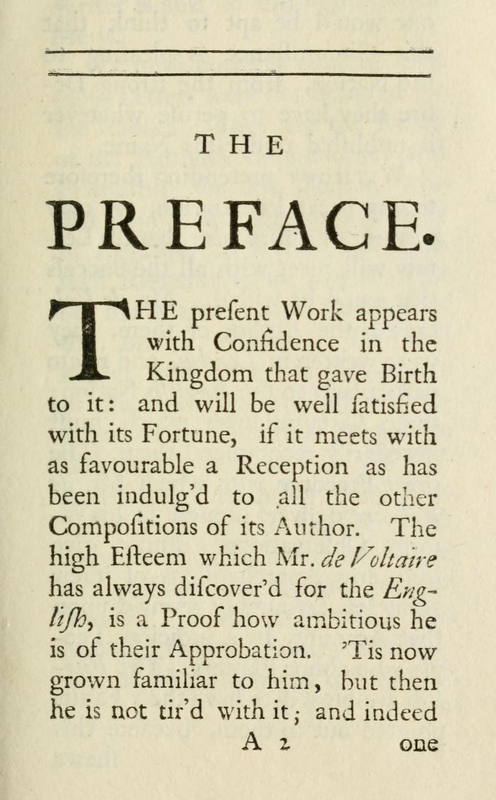 Voltaire decided to go to London to have it published by Huguenot printers, free from censorship, and the book was dedicated to Queen Caroline. Voltaire settled at the White Perruke on Maiden Lane in Soho, in a Huguenot area of the capital where French was widely spoken and which extended to Spitalfields. He stayed in London for two and a half years and taught himself English. He was a regular visitor at the Drury Lane theatre, where he discovered Shakespeare. He read Gulliver’s Travels in English and attended an early performance of Gay’s Beggar’s Opera. Voltaire read Addison’s Spectator, a publication whose tone and format was to prove a big influence on his own Lettres philosophiques. He met Pope, Gray and Swift, and was instrumental in popularizing Newton’s ideas in France. 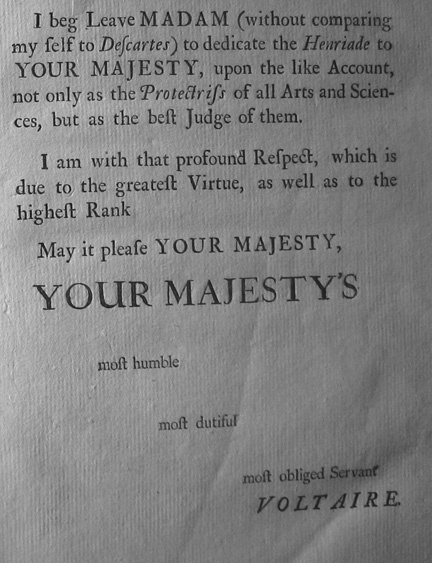 He was made a Fellow of the Royal Society in 1743. 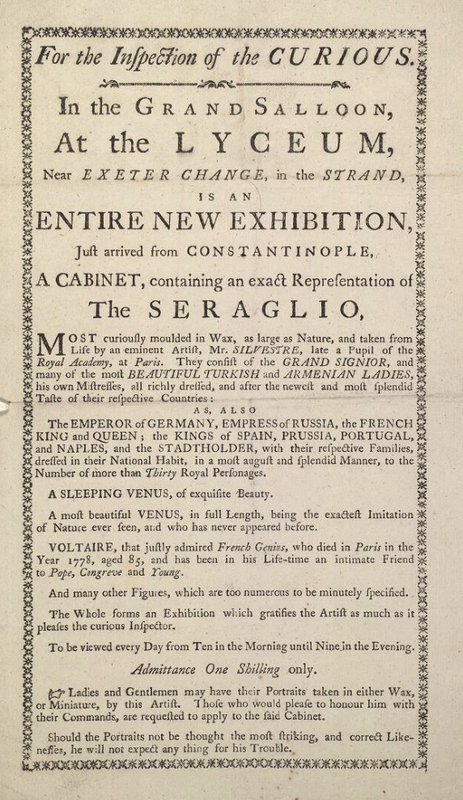 Interestingly, an exhibition of waxworks organised on the Strand not long after Voltaire’s death featured an effigy of ‘that justly admired French genius’ who had been ‘in his lifetime an intimate friend to Pope, Congreve and Young’ – testament to the lasting impact of his stay in London many decades earlier. Thanks to the AHRC grant, the Voltaire Foundation also commissioned Oxford DPhil student Cameron Quinn to write ‘Stories around the Lettres sur les Anglais’ for our website. 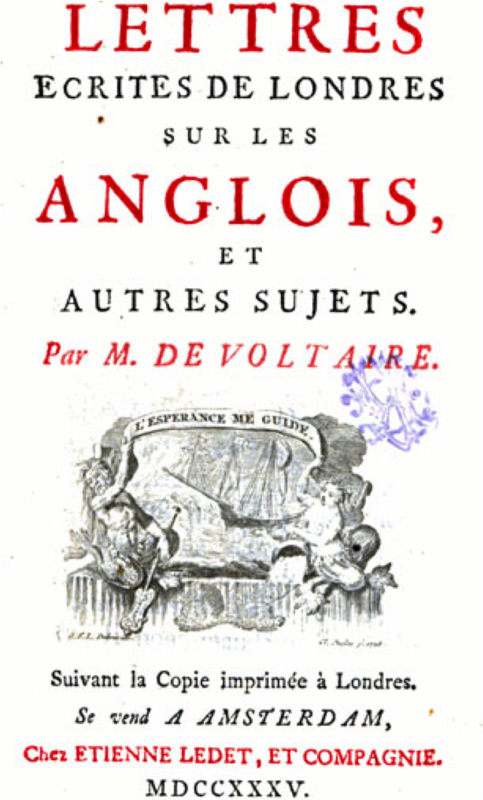 This resource provides background information about the Lettres and their importance as a seminal text for the Enlightenment, and sheds light on the reasons that drove Voltaire to spend two years of his life in England; it also gives an overview of the political, as well as economic and cultural, situation in England during the years Voltaire lived here. Thematic pages focus on several key topics that were important for society in general or to Voltaire in particular at the time the Lettres were written, and they also offer links to relevant websites. The themes covered are immensely varied in scope; they include, among others, religion, poetry, the Newtonian revolution, the English adoption of the practice of inoculation, and the question of the soul. These webpages can be a resource for those without much prior knowledge of the wider historic or cultural contexts of the time, or of the issues at stake. We hope our readers will enjoy this ‘rough guide’ to the Lettres sur les Anglais and the historical context in which they were written! Letter XIV of Voltaire’s Lettres philosophiques provides an insight into the early days of modern science, contrasting the theories of Descartes and Newton at a time in which Newtonian physics was new and controversial. The vitality of the debate as approached in this volume struck me, as a humanities student, more intensely than GCSE science lessons ever managed to; it made me realise that even the laws of gravity were a new discovery once. 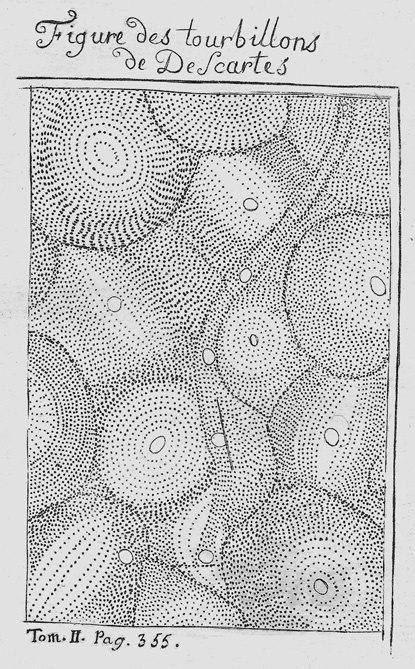 ‘Figure des tourbillons de Descartes’, in Voltaire, La Henriade, divers autres poèmes etc. [Geneva, Cramer and Bardin], 1775, 37 vol., vol.26, facing p.355. However, it was the way in which Descartes’ world was depicted that left a greater mark on me, through its apparent strangeness (although, had I heard about it in a physics classroom, no doubt it would seem as banal as gravity). In Voltaire’s portrayal, the emphasis is on movement, ‘tourbillons de matière subtile’, next to which our modern conception of gravity seems, if more accurate, somehow less dynamic. This theoretical universe is a crowded one, where light ‘existe dans l’air’ and the dominant forces are pushing ones; Newton’s is an elegant void, where movement is due to attraction. After studying the letter, I wrote the poem below, inspired both by the painterly quality of Voltaire’s images, and the way in which reading it had offered me a new perspective on the way human knowledge changes. Letter XIV typifies a time very different from our era of specialization, where science and the humanities are carefully cordoned off from one another. Voltaire was spreading something that was, at that time, revolutionary, and it seems unlikely nowadays that a literary figure could be so fully involved with the cutting edge of science. I wanted to capture this sense of change, and the related fact that, while these competing explanations for the universe once ranked side by side, one has now been relegated to the status of image, while the other has become (relatively) unquestioned scientific fact. an early Van Gogh in the wrong career. 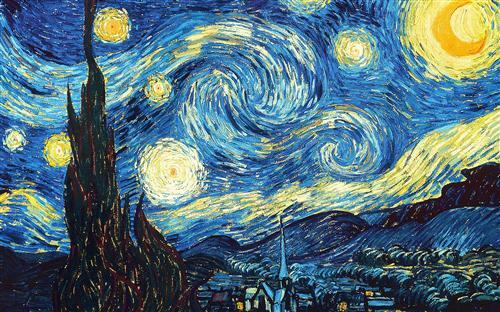 The Starry Night, by Vincent Van Gogh, 1889. All quotes are from Letter XIV, Lettres philosophiques. A constantly recurring theme throughout Voltaire’s œuvre is the intolerance exhibited by established religions and the barbarity that all too often follows on from that. Throughout his life he was haunted by the St Bartholomew’s Day massacre of French Protestants at the hands of Catholics. He described it in his epic poem La Henriade (1723), later complaining to Frederic the Great: ‘Croiriez-vous bien qu’on m’a reproché plus d’une fois d’avoir peint avec des couleurs trop odieuses la St Barthelemy?’ (letter of c.15 January 1737). He maintained that he always suffered illness on the anniversary of the atrocity. 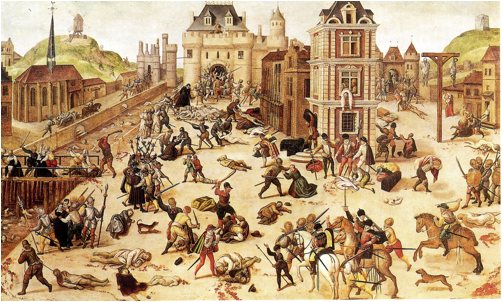 The Saint Bartholomew’s Day massacre, by François Dubois (c.1576). During his exile in London (1726-1728) he drafted essays about England which he published first in English as the Letters concerning the English nation in 1733, then in French in 1734, and many later editions, in the version we now know as Lettres philosophiques. This work opens with chapters on the religions of England, in which he praises the tolerance of some, such as the Quakers, and criticises others for their intolerance. While Voltaire repeatedly condemns the godly massacres by the Jews described in the Old Testament, and Islam’s violent conquests (see Diego Venturino, ‘Imposteur ou législateur? 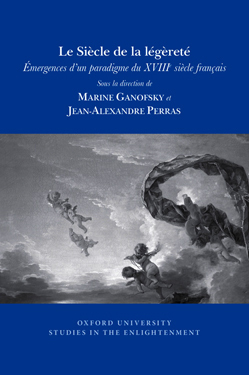 Le Mahomet des Lumières’, in Religions en transition dans la seconde moitié du dix-huitième siècle, SVEC 2000:02), his main target always remains Christian intolerance. 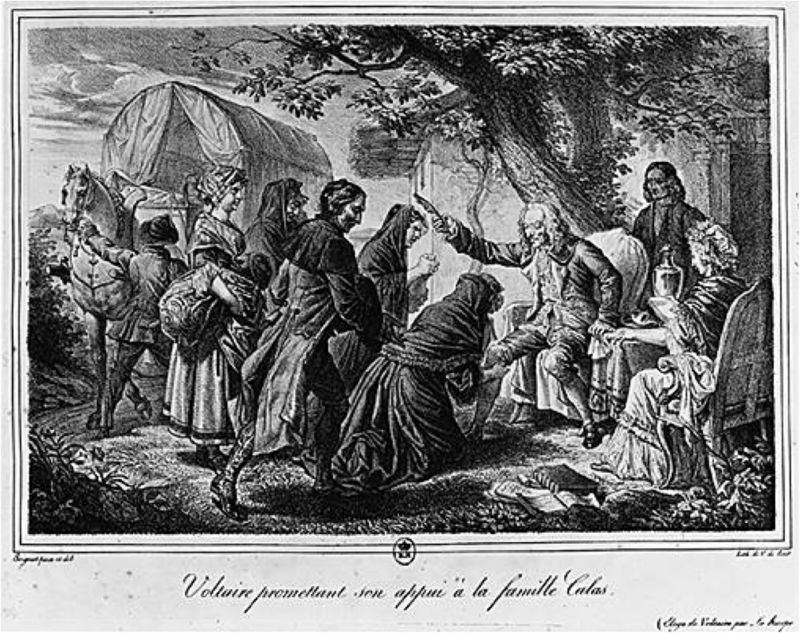 Voltaire promettant son appui a la famille Calas, by C. de Last (Bibliothèque nationale de France). Major works that deal with the theme of Christian intolerance and persecution include: the Dictionnaire philosophique (OCV, vol.35-36), La Philosophie de l’histoire (OCV, vol.59), Des conspirations contre les peuples (OCV, vol.61b), L’Examen important de milord Bolingbroke (OCV, vol.62), Dieu et les hommes (OCV, vol.69), and De la paix perpétuelle (OCV, vol.70, forthcoming). In the last years of his life Voltaire gathered all his arguments against dogmatic religion in three closely related works: La Bible enfin expliquée (OCV, vol.79a), a passage-by-passage dissection of the basis of Christianity; Un chrétien contre six Juifs and Histoire de l’établissement du christianisme (both OCV, vol.79b, newly published by the Voltaire Foundation). The three together, benefitting from a lifetime’s consideration of the crimes perpetrated in the name of religion, form a compelling summation of his argument for toleration and justice. 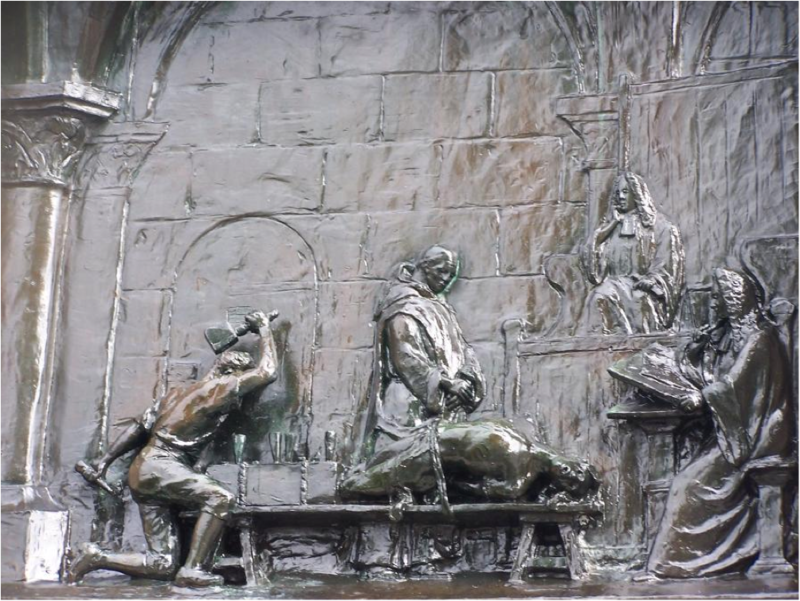 The interrogation of the chevalier de La Barre as depicted on the monument to him in Abbeville (1907). ‘Je me donnerai bien de garde de m’élever avec colère contre les malheureux qui ont perverti ainsi leur raison; je me bornerai à les plaindre, en cas que leur folie n’aille pas jusqu’à la persécution et au meurtre; car alors ils ne seraient que des voleurs de grand chemin. Quiconque n’est coupable que de se tromper mérite compassion; quiconque persécute mérite d’être traité comme une bête féroce.